Ever Wondered Who Designs The Free Gifts On Your Favourite Craft Magazines? 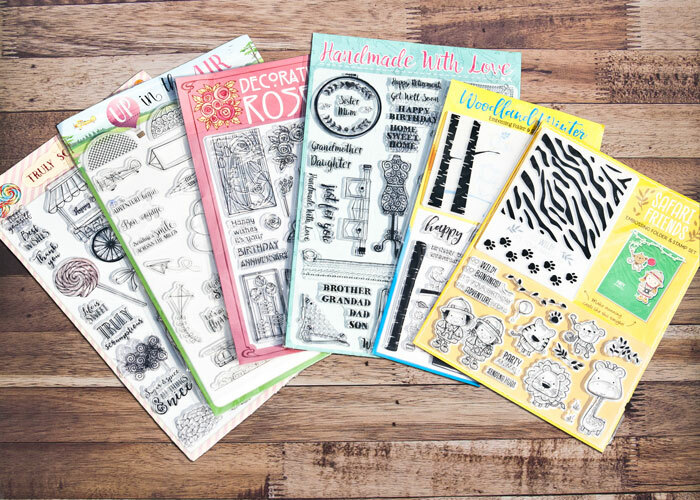 I am really lucky as I often get to play with the free gifts that come with magazine titles such as Die-cutting Essentials, Papercraft Essentials, Simply Cards & Papercraft and Creative Stamping several weeks before they hit the shelves. It is one of the perks of being a craft designer for the magazines, but who is it that designs these amazing products and how do they do it? Well, if you have ever wondered that and you want to know a little bit more about what it is like to do that job then today is your lucky day as Craft Stash have an interview with their in-house designers Kay Whittaker and Vicky Welsby. Kay and Vicky both design the Apple Blossom, Pretty Quick, Creative Dies and Fuzzy Lemon ranges as well as many of the covermounts that come with our ambien online ambien magazines. It is a great opportunity to learn a lot more about them as often in-house designers live in the shadows working away behind the scenes to bring us great ideas and beautiful designs but we don’t get to meet them. Both Kay and Vicky have been sharing their designs via their own instagram feeds too, Kay Whittaker and Vicky Welsby Design, so go follow them there as well and say ‘Hi’! It is lovely to see the people behind the designs isn’t it? Oh and whilst you are over at CraftStash you might want to make use of their amazing 3 for £10 offer on a selection of their dies and stamps! But you will need to be quick as I think it ends at midnight (BST) today 20th April 2017! Use the code: PICKMIX310 at checkout. so cool to know the people behind the designs! I did wonder quite a few times. I blog monthly and feature one magazine collection and my own creations with the sets. I am now following both the designers on Instagram! Thank you for sharing this.